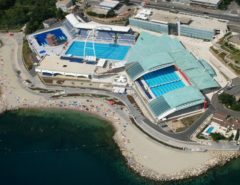 On May 18th-19th 2019, there will be an International Bifins Meeting in the city of Nový Jičín (Czech Republic). The event is called Modrý Mítink that means Blue Mint. 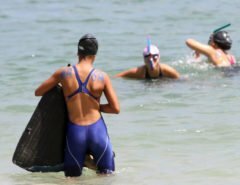 The race is organized as a Blue Meeting – an open international fin swimming competition 2019 in categories E0, E, D, C, B, A and Veterans category and separate race for younger E0, E.
Competitors will be put into heat together according to the entered times from computer records, Veterans in individual heats according to the entered times. Evaluation will be done by category.